Another study adds to the body of research showing how yoga is a boon for the aging mind as well as the body. Want to keep your brain healthy and sharp as you age? Keep practicing yoga. A recent study of healthy older women who practiced hatha yoga for at least eight years found that they had significantly greater cortical thickness (CT) in regions of the brain related to cognitive functions (attention and working memory) than a group of matched controls, which may be associated with cognitive preservation, the authors say. “We [did] not conduct any cognitive tests, so we can not correlate CT and cognition. But our hypothesis goes in this direction, since previous studies showed [a] relationship between the practice of yoga and improvement in cognitive functions,” study authors Rui Ferreira Afonso and Elisa Harumi Kozasa of Hospital Israelita Albert Einstein in Brazil tell YogaJournal.com. Last year, another study showed brain benefits for older adults with mild cognitive impairment who practiced Kundalini yoga and meditated. Why Might Yoga Have These Effects on the Brain? The authors hypothesize that asana and pranayama may improve cognitive functions in the brain because they require so much focus. 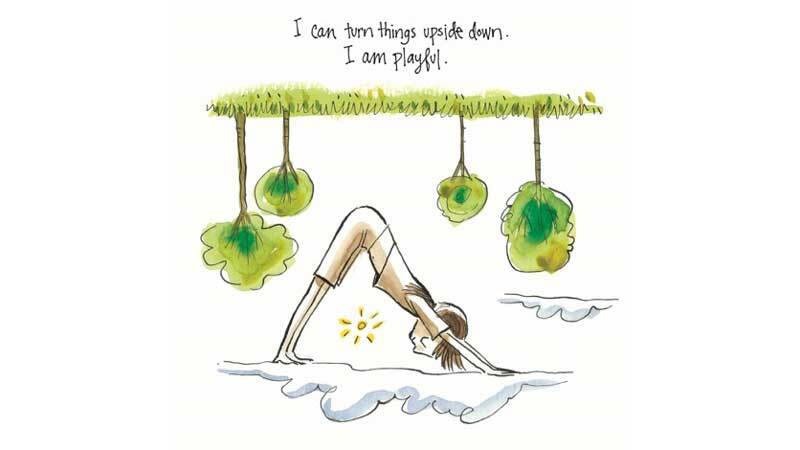 “Attention and working memory are indispensable resources during yoga practice,” they tell YJ. The study also points out that yoga is a contemplative practice, and that the meditative activity required could also play a role in cognitive preservation. “Yoga involves the practice of postures, breathing exercises, and meditation. While branches of yoga adopted in the West have a strong physical component (postures and breathing exercises), yoga is not limited to the physical body. By definition, yoga is a meditative activity embodied in physical postures in which an attentional component must be present (Taimni, 1961),” the authors write. Previous studies have also linked mindfulness meditation to significant increases in gray matter, as well as increased focus. While this study, published in Frontiers in Aging Neuroscience, only looked at women at least 60 years of age, the authors believe the findings are relevant to the general population as well. “It is important for a young person to prepare for healthy aging. The sooner we begin to practice yoga, probably the greater its cumulative effects,” they say.